You are the incredible Lara Croft, a gorgeous, intelligent, highly skilled explorer of stunning proportions. With a wide array of stylish and lethal moves at your disposal and a ready arsenal of weapons to employ you're ready to meet any challenge head on.Your mission is the deadliest one to date -- the recovery of the fabled Scion, an incredible treasure reputed to give its possessor vast power. Climb, swim, and backflip your way through a maze of cryptic deathtraps so realistic you can practically smell the decaying flesh. Unload an arsenal of lethal firepower on any wild-dog, giant lizard or blood-thirsty mercenary that gets in your way. One of my childhood favorites, and I couldn’t be more pleased with the service. Thanks LukieGames! I'll comment on the excellent customer service first. The initial copy of Tomb Raider I received did not work for some reason. I contacted Lukie Games and they sent a replacement free of charge. 5 Stars for customer service. 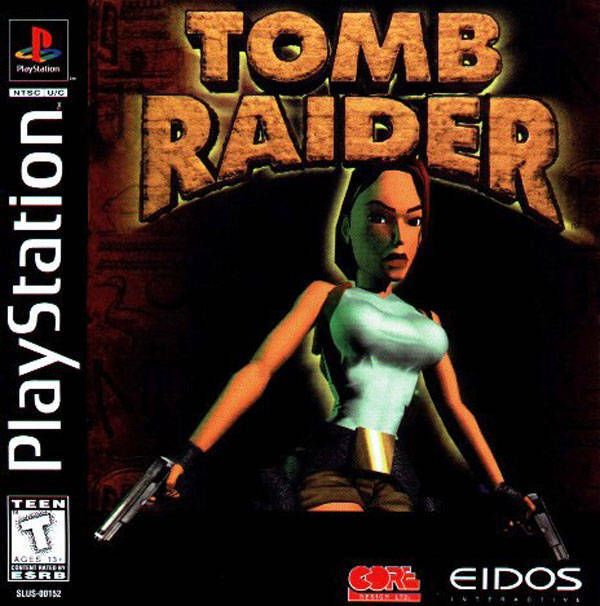 Tomb Raider was the first PS1 game I owned, purchasing it with the system in 1997. Unfortunately my entire video game collection was stolen from me a few years ago, and just recently I had this nostalgic feeling that I wanted to play this game again. I hopped on the internet and stumbled across Lukie Games. Of course the game is dated in the controls and graphics, but for its time it was special, and this game is worth playing if you are at all a fan of the great modern Tomb Raider games or the Uncharted series. While the controls take some getting used to, since this was before the analog stick era, this game is great fun nonetheless. It can be just the right levels of challenging and atmospheric, and awesome music to boot. I purchased this game as a gift for someone. It worked on his playstation and he is happy with it. One of my 6-year old grandson's favorite. I just got my copy of this incredible game. I rememeber when I was playing this game back i n the 90´s. I was very young and I was playing the whole day during the summer. This first game actually scared me a bit when I was facing the wolfs. I can recommend this game to all new players. Maybe you think the graphic is bad, maybe it is but the whole gameplay and story is just awsome. Give it a chance. As with most games I buy at this site, I don't play them. I buy them for my daughter. She really likes this game and one of the reasons is because the character in the game is a female. What can be said about Tomb Raider that has not already been said. Such a ground breaking game, and just so much fun to play. I guess the graphics and the speed of the game may be a little out dated by today's standards, but reliving some of the moments that I remember from back in the day has been a blast! A perfect game for an introduction to the Tomb Raider series. Also a fun game for female gamers, since you play as Lara Croft. The practice room in the game, would probably be good for younger players to learn the gameplay, too.